Thank you to SAP for underwriting CXOTALK. IT is not a silo anymore and customer expectations are changing as well. Walter Curd, chief information officer at Maxim Integrated, speaks with CXOTalk about digital transformation at the analog semiconductor company with a heavy focus on e-commerce and innovation. Curd has been Vice President and CIO at Maxim Integrated since 2008, leading a modernization effort to migrate multiple order management, logistics, and manufacturing financial systems on SAP. He previously served as CIO at Marvell Semiconductor, Cyberiq Systems and Electroglas; he also spent 10 years as director of information technology at Fujitsu Microelectronics. Michael Krigsman: We are live at Sapphire Now 2018 in Orlando, Florida. I'm Michael Krigsman. 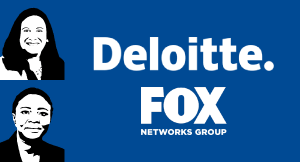 I'm an industry analyst and the host of CxOTalk. We're speaking right now with Walter Curd, who is the chief information officer at MAXIM Integrated. Hey, Walter, thanks for taking time in talking with us. Walter Curd: Hi, Michael. Thanks for having me. It's great to be here. Michael Krigsman: Tell us about MAXIM. Walter Curd: MAXIM Integrated is a $2.5 billion revenue analog semiconductor company in Silicon Valley, California. It seems like, compared to other companies, we're not that big, but we have over 45,000 active parts, 20,000 customers, we ship billions of units a year and, basically, the result of all of that is 65% gross margin, 35% operating margin, and now, thanks to some of the tax changes, we can return 100% of our cash to shareholders, which makes them very happy, which makes our employees happy because the stock price goes up. Michael Krigsman: You have 45,000 active parts. Walter Curd: Yes, we do. Michael Krigsman: I can't even imagine that. Walter Curd: Our supply chain is very complicated. [Laughter] Right? On the sales side, we've really revamped things. We call it a digital transformation, but we've gone heavy into e-commerce. Now, this was a really interesting discussion in the company because we were very traditional. But, we realized that we've been product-focused for so long and, in order to get customer-focused, we had to own the customers. That meant sort of taking it back from some of our distribution partners. We've put a lot of time into enhancing our website, the analytics, the customers, and so on, and then allowing us to really understand the customer experience. Michael Krigsman: Now, you're a B2B company. Walter Curd: We are a B2B company, but we also sell a lot of smaller quantities for samples, reference boards, all of these different things that we sell to design engineers all over. A little-known fact: we give free samples because, obviously, we want people to try the products. They're great products. Michael Krigsman: You talk about customer experience in the way that I hear consumer B2C companies talk. Walter Curd: Yes. If you look at who our customer is, it's a design engineer, which is a completely different experience from a consumer. First, we have to get them there. Then we have to walk them through and make sure it's easy to find what they need. We have simulation tools, obviously the data sheets, the training videos, and free samples. We understand the journey that a customer, in this case an engineer, goes through and we've redesigned our website and our selling process around that. So far, we've actually, in the last two years, each year we've doubled our e-commerce revenue. That gives us a lot more insight to the customer, which, as we know with digital transformation, is critical. Michael Krigsman: It sounds like this is all based on a very profound understanding and a detailed way of what customers want, what they expect from you, how they use the products, and how they interact with you. Walter Curd: Engineers are king in our company, but we've had to really expand our focus on the customer, especially as we have 20,000 of them. The small customers and medium customers that we can't touch directly, we have to touch with our website. You don't know which ones are going to become big customers. Michael Krigsman: Changing customer expectations then become a very significant driver of the actions you're taking at MAXIM. Walter Curd: Expectations have gotten much higher, and we have to deliver. Michael Krigsman: What's the role of IT? You haven't spoken about systems. You're talking about customer experience and user experience. Walter Curd: All the business processes go from these systems over here to these systems over here. The only people that understand the end-to-end process and make it work are IT. What I realized was, if we're not getting better, if we're not executing the right projects, we're hurting the company. The world has changed, and IT is not a silo anymore. Each business thing is not a silo. It's one process, one integrated system. Michael Krigsman: You're breaking down silos. How about from a systems perspective and a data perspective? How does that help you reinforce the breaking down of those silos? Walter Curd: We created a business intelligence organization within IT many, many years ago. The objective was to standardize, normalize, and centralize the key data in the company. Keeping track of those billions of units across all the world and keeping it flowing is a big challenge. But, it's a lot easier if you have a good forecast. Michael Krigsman: IT really does have its hand across the entire company down at the basic level of systems all the way up directly being involved with customer experience. Walter Curd: The business may not realize it, but you have to make it happen. Otherwise, you hurt the company. Michael Krigsman: You have been working with SAP for decades. Tell us a story of the early days of working with SAP. Walter Curd: I implemented SAP in 1995. We were in a small office up in Foster City, California, when I first met Hasso Plattner. We were both much younger then, but when I saw the software, when I saw the integration, I knew it was what I wanted. Walter Curd: People who work with SAP know that it's not a bug. There are almost no bugs with SAP, and especially with the accounting side. I said, "Go back and get the right answer." SAP is a great company and great software. Michael Krigsman: Walter, thank you so much. Walter Curd: All right, thank you. How can digital transformation change a company’s culture? 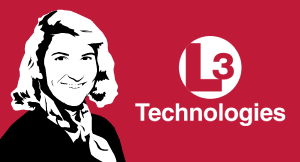 Heidi Wood, senior vice president for strategy and technology at L3 Technologies, speaks with CXOTalk about how the U.S. defense company uses IT, data and SAP to keep a radically transparent focus on the future. With the growth of consumer and enterprise data, the need for transparency and data protection has increased dramatically. 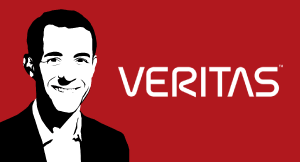 Watch industry analyst and CXOTalk host, Michael Krigsman, explore this crucial topic with Mike Palmer, the Executive Vice President and Chief Product Officer at Veritas. What is the link between innovation and customer experience? 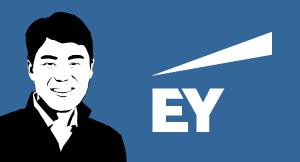 Industry analyst and CXOTalk host, Michael Krigsman, explores this topic with the Global Chief Innovation Officer at EY. What is GDPR and how does it affect the customer experience? Alicia Tillman, chief marketing officer of SAP, tells CXOTalk about how general data protection regulation protects customers’ data with more transparency and trust, while changing the way businesses and CMOs operate. What is business transformation? 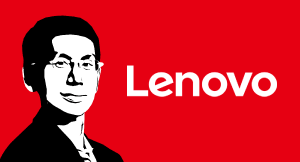 Arthur Hu, CIO for Lenovo Group, speaks with CXOTalk about embedding technology in businesses, shadow IT, and managing the balance of high uncertainty and high likelihood of change. Although women are gaining ground in information technology, the Chief Information Officer role in IT is still a male-dominated position. For this special episode of CXOTalk industry analyst, Michael Krigsman, speaks with two experienced IT leaders. The conversation explores Deloitte's recent report on female leaders in technology and gender diversity.